As we near a decade from the start of the global financial crisis, it’s time to assess the connection between how slow the recovery has been and the use of deleveraging in advanced vs. emerging economies. In By the summer of 2007, the debt-fueled housing bubble in the United States, Iceland, Ireland, and the United Kingdom had begun to burst. In a matter of months, much of mainland Europe would also be mired in a systemic financial crisis. The episode that would come to be known as the Global Financial Crisis of 2008 would, in many of these countries, morph into a fiscal solvency crisis. Nearly a decade has passed since these events shook global financial markets. On the whole, the recovery from the crisis has been lackluster, and for several countries in Europe, the crisis never ended. This article revisits my earlier work to track the extent of post-crisis recovery in per capita incomes and to assess the extent of deleveraging compared with other systemic crises. I emphasize the connection between the speed of recovery and the extent of post-crisis deleveraging. Now approaching the decade mark of the crisis, output remains below its pre-crisis peak in more than half of the 11 advanced economies hit in 2007–2008. Examining the evolution of real per capita gross domestic product (GDP) of around 100 systemic banking crises since the mid-19th century, Reinhart and Rogoff (2014) conclude that, on average, it takes about eight years to reach the pre-crisis level of income, with the median duration of the recovery phase being about 6.5 years. Eight to nine years after the onset of the current crisis, only five of 11 countries that had a systemic banking crisis in 2007–2008 are back to their pre-crisis peak in per capita income. While my earlier work has emphasized that post-war business cycles are not the right comparator for the severe crises that have swept advanced economies in recent years, here I highlight that even by the standards of the worst crises, some of the ongoing cases are among the most severe on record. In many cases, the severity of the crisis isn’t driven by the depth of the initial recession but by the glacial pace of recovery. Following Reinhart and Reinhart (2010), this article documents the leverage cycle before and after crises to address why the recovery has been so slow. The conclusion is that speeding up recovery may require that advanced economy governments adopt some “heterodox” approaches to debt reduction, including write-offs, inflation, and financial repression that are discussed in Reinhart, Reinhart, and Rogoff (2015). Because this exercise involves dating long and rather infrequent cycles associated with deep crises and going as far back as the data permits, the frequency is annual. Peaks and troughs are not dated by the quarter or the month. The typical recurring pattern across time and space in these cycles is one in which economic activity reaches a peak either the year before the onset of a crisis or the year of a financial crisis. There are cases where the downturns start earlier, but they’re less frequent. Reinhart and Rogoff (2009) measure of the depth of the recession is standard and focus on the peak-to-trough decline in real per capita GDP and tallies the number of years it takes to reach bottom in each episode. While the view that recessions associated with financial crises are deeper has gained ground in recent years, academic opinion is more divided on how to characterize recoveries from crises. Duration refers to the number of years it takes to reach the prior peak in real per capita income. While normalizing by population allows for some time variation in underlying trend output, this definition of recovery doesn’t capture a return to potential output or to some predetermined trend. As such, it is a minimalist definition of recovery. Figure 1 and its accompanying table present the severity index, its components, and information on the duration of the contraction (peak-to-trough, number of years) for nine systemic financial crises in the United States from 1790 until 2016. The Great Depression of the 1930s predictably stands out for its virulent contraction and duration (10 years). During the suspension of convertibility over the 1814–1817 banking crisis and its aftermath, it also took 10 years for the economy to climb back to its previous peak in real per capita GDP. The depression ushered in by the 1837 panic is characterized by financial historians as the longest U.S. banking crisis (extending until 1843); that crisis left per capita GDP trailing below its peak for almost a decade. As shown in the bottom panel of Figure 1, the average peak-to-trough decline for the U.S. real per capita GDP across nine major crises is about 9%, and it takes an average of 6.7 years to reclaim the pre-crisis peak. During the post-crises years, five of the nine (56%) U.S. episodes were associated with a double dip. The subprime crisis comes in below these averages with about a 5% drop in per capita GDP (subject to the usual revisions) and a duration of six years (from approximately 2007 to 2013) to reach the pre-crisis peak per capita income level. The most important feature of Figure 2, however, is that it shows that the subprime crisis isn’t an anomaly when you view it in the context of the pre-WWII era. As noted, the corollary is that post-war business cycles aren’t the right comparator for the recent severe crises. Table 1, which updates the earlier study with the International Monetary Fund data and projections as reported in the October 2016 World Economic Outlook, shows the basic statistics on depth and duration for the most severe 30 crises since the mid-19th century ranked in descending order by the severity index. Some dramatic output collapses and lost decades occur among primary commodity producers faced simultaneously with a severe banking crisis and collapsing terms of trade. Chile 1926 and Australia 1893 figure among that group. A substantial number of these crises are not “pure” banking crises in that these unfold alongside a currency crash and often involve a sovereign default as well. This twin- or triplet-crisis scenario is prevalent for both emerging markets and for a number of the advanced economy crises (notably during the 1930s) as well as the ongoing Greek crisis (currently tied for 11th place, Table 1). Regarding the Italian experience (which ranks 25th among the worst 100), it is probable that the resurgence of major banking difficulties, as manifested in the frailty of the country’s third-largest and oldest bank, Banca Monte dei Paschi Siena, is the unresolved residue of the 2008 crisis rather than a fresh episode. It remains to be seen whether this occurrence will also turn into a sovereign debt crisis. As of 2016, Greek and Italian per capita GDP are about 25% and 12% below their 2007 peak, respectively. Of course, the distinction between emerging and advanced economies is quite blurred, especially before WWII, because a number of modern-day advanced economies were still emerging markets at the time. If credit ratings inform the distinction, the dividing line between emerging and advanced economies has also been blurred in recent years. With these caveats in mind, Table 2 presents descriptive statistics for the full sample as well as for the advanced and emerging subgroups, consisting of 63 and 37 crisis episodes, respectively. Not surprisingly, emerging market peak-to-trough average output declines are about 5% larger than those in the advanced economies. However, they aren’t significantly more protracted. The halting, tentative nature of the post-crisis recoveries (even in cases where there is a sharp – but not sustained – growth rebound) is shown in the relatively high incidence of double dips (or secondary downturns before the previous peak is reached). For all the crises, the share recording a double dip is 45%, and for the most severe crises (shown in Table 1) about two-thirds of the post-crisis trajectories involved a double dip. It’s premature to construct a definitive measure of the severity of the crises ushered in by the subprime debacle using the measures presented here, because the crises are ongoing in most cases. Of the 11 countries experiencing a systemic crisis starting in 2007–2008 (Table 3: France, Germany, Greece, Iceland, Ireland, Italy, Netherlands, Portugal, Spain, U.K., and U.S.), less than half (eight to nine years after the crisis) have reached their pre-crisis peak in per capita GDP (Germany and the U.S., most rapidly followed by Iceland, Ireland, and the U.K.). Determining the years it will take to return to the pre-crisis output peak is even more tentative. For countries other than Germany and the U.S., we use the International Monetary Fund forecasts (which have been noted for their optimistic assessment) through 2021. Even by 2021, these projections don’t show Greece and Italy recovering to pre-crisis levels of per capita GDP. Portugal may plausibly fall into that category, if the projections turn out to be even slightly optimistic. As Table 3 indicates, the average time to recovery from the global financial crisis will be closer to 10 years and about in line with lost decade of the Great Depression of the 1930s and the banking/debt crises in emerging markets of the 1980s. While public policies appear to have had some success mitigating the force of the initial blow to output, the all-too-frequent ‘extend and pretend’ approach to crisis resolution has acutely delayed recovery. Figure 2, which compares the frequency distribution for twelve 2007–2008 crises (the 11 in Table 3 and Ukraine) with the remaining 88 crises, also highlights that a salient feature of the recoveries (or lack thereof) from the 2007–2008 crisis is their exceedingly protracted nature, even by the standards of the worst systemic crises. As shown in Figure 2, it’s very rare for an economy to remain below its pre-crisis per capita income level for more than a decade. Yet, as Table 3 and Figure 2 show, a third of the crises (including Ukraine) will be in the range of 10+ years and, possibly, at least two lasting 15 years or longer. While public policies appear in most instances to have had some success mitigating the force of the initial blow to output stemming from the crisis, the all-too-frequent “extend and pretend” approach to crisis resolution has acutely delayed recovery. As emphasized in my earlier work, the leverage cycle is an integral feature of systemic financial crises, and the 2007–2008 crises were no exception as domestic and external private debts soared to unprecedented levels in the run-up to the crisis. Household mortgages played a key role in explaining the surge in domestic credit, and banks’ aggressive offshore borrowing was a major driver of the climbing external debt levels shown in Figure 3. Reinhart and Reinhart (2010) document that the leverage build-up ahead of a crisis usually occurs over a seven-year period, while the painful deleveraging process doesn’t usually start immediately at the time of the crisis but usually gets well underway within two years after the start of the crisis. Deleveraging is, on average, also a seven-year process (measured from the time of the crisis). Therefore, a full leverage cycle is roughly a 15-year phenomenon. By that metric, the magnitude of external deleveraging post-2008 appears to fall well short of the declines in external debt usually recorded after severe financial crises (top panel, Figure 3). However, the evolution of external debt traced in Figure 3 (which presents a simple average across 23 advanced economies) considerably overstates the actual deleveraging of eurozone countries in particular. The draconian leveraging/deleveraging cycle surrounding the Icelandic crisis of 2007 (shown in the bottom panel of Figure 3) largely accounts for the overstatement of post-crisis deleveraging. However, while the Icelandic cycle is unparalleled in terms of amplitude (except for the Irish case), the pattern is more typical of the historic norms among other crises episodes, as shown in Figure 4, than the absence of deleveraging evident in the evolution of external debt in the eurozone countries (the solid line). The dearth of external deleveraging has its counterpart in domestic credit to the private sector, as shown in Figure 5 (the solid line shows the eurozone members included in Table 3). As with external debt, domestic credit still remains well above the levels at the onset of the crisis. The contrast with earlier crises in advanced economies (red line) is of particular note. In the case of the famous Nordic crises of the late 1980s and early 1990s (as well as the earlier Spanish banking crisis), eight years after the crisis began not only had the private sector deleveraged, but the economy had recovered well past recouping the pre-crisis level of GDP. The United States’ comparatively faster post-crisis recovery may have been facilitated by the more aggressive wave of foreclosures that allowed households and banks to have more flexibility in coping with their problem debts. In many cases, the severity of the crisis isn’t driven by the depth of the initial recession but by the glacial pace of recovery. Even after one of the most severe multiyear crises on record in advanced economies, conventional wisdom in policy circles clings to the notion that high-income countries are completely different from their emerging market counterparts. The current phase of the official policy approach is based on the assumption that growth, financial stability, and debt sustainability can be achieved through a mix of austerity and forbearance (and some reform). The claim is that advanced countries don’t need to resort to the more eclectic policies of emerging markets, including debt restructurings and conversions, higher inflation, capital controls, and other forms of financial repression. As we approach the decade mark (depending on the country) of the crisis, output remains below its pre-crisis peak in more than half of the 11 advanced economies hit in 2007–2008. The gap with potential output might be even greater. The severe Greek debt overhang hasn’t been resolved, and tackling it has been delayed largely through reliance on maturity extensions. Coping with Italy’s banking sector problems has also been put on hold. In the meantime, there is little reason to expect that in an environment of uncertainty, capital flight from the country will diminish. Delays in accepting that speeding up recovery may require advanced economy governments to adopt some heterodox approaches to debt reduction, including write-offs. However, inflation only increases the odds that the post-crisis debt overhang will be a multidecade phenomenon, as happened in Japan since the start of its banking crisis in the early 1990s. Financial repression, as I document elsewhere, has already been a part of the policy response, as shown in the various waves of new financial regulation and the sustained incidence of negative real interest rates. In the end, this crisis may surpass in severity the Great Depression in a number of countries. Carmen M. Reinhart is the Minos A. Zombanak is Professor of the International Financial System at Harvard Kennedy School. 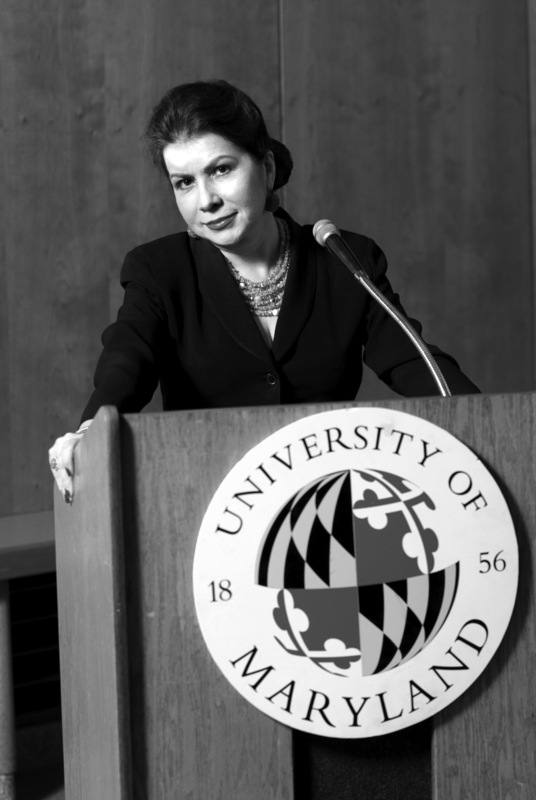 Previously, she was the Dennis Weatherstone Senior Fellow at the Peterson Institute for International Economics and Professor of Economics and Director of the Center for International Economics at the University of Maryland. Reinhart held positions as Chief Economist and Vice President at the investment bank Bear Stearns in the 1980s. She spent several years at the International Monetary Fund. Reinhart is a Research Associate at the National Bureau of Economic Research, and a member of the Congressional Budget Office Panel of Economic Advisers and Council on Foreign Relations. She received her Ph.D. from Columbia University.